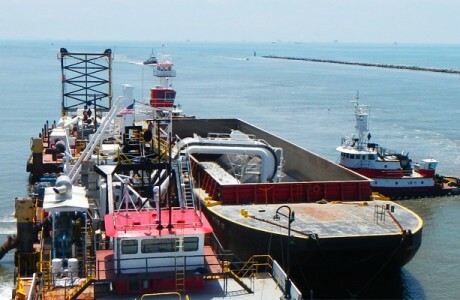 The Pass Chaland to Grand Bayou Pass Barrier Shoreline project is located on the Gulf shoreline in Plaquemines Parish, Barataria Basin, Louisiana. 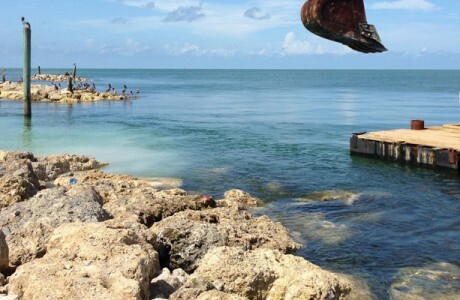 Wetland, beach, dune, and marsh habitats within the project area had undergone substantial loss due to oil and gas activities, subsidence, sea level rise, and storm erosion. Development of fragmentary islands caused by breaches in the previously existing barrier islands and subsequent inlet formations have resulted from increased tidal prism storage and storm related impacts within the region. CEC led the integrated consulting team through the design, permitting, and construction of the project (BA-35, Coastal Wetlands Planning, Protection, and Restoration Act (CWPPRA) Priority Project List 11). The federal and state sponsors were the National Marine Fisheries Service and Louisiana’s Coastal Protection and Restoration Authority. 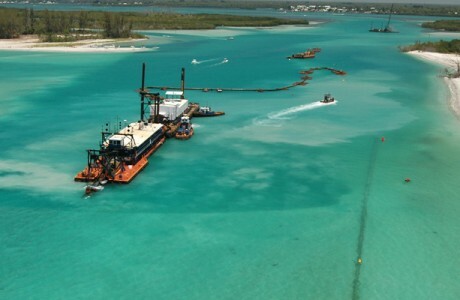 The project goal is to protect and preserve the structural integrity of the barrier island, dune and wetland habitats. 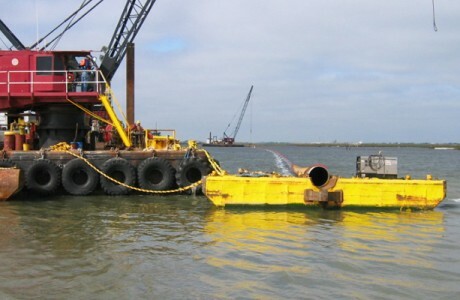 The project features included creation of a 1000 foot wide marsh platform using 1 million cubic yards of sediment contained with primary and secondary containment dikes. 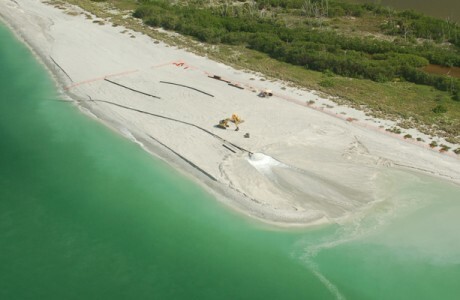 The beach-dune platform was expanded and the breaches filled to address the severity of erosion using 2 million cubic yards of sand placed along the 2.7 mile long gulf shoreline. 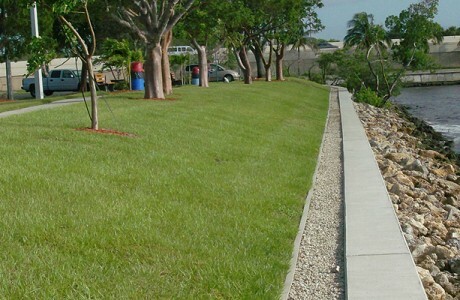 Also included were a water exchange channel, access channel and signage, sand fencing, and vegetative plantings. 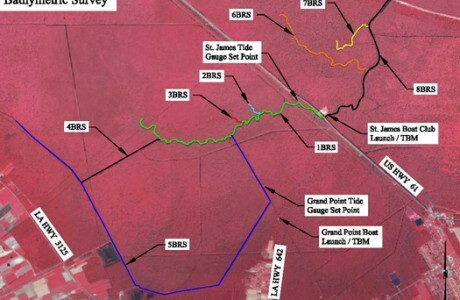 The project benefit includes over 420 created acres, which will maintain and mature to approximately 160 acres of barrier island and wetland habitats at year 20 of the design life. 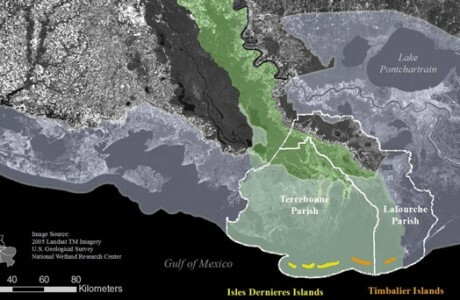 A circulation model program utilizing ADCIRC was performed to quantify potential impacts from the proposed marsh creation area, address concerns that construction would alter circulation resulting in changes in sedimentation patterns, and confirm that sufficient water levels and flow would be maintained within the estuary to support the newly created marsh. 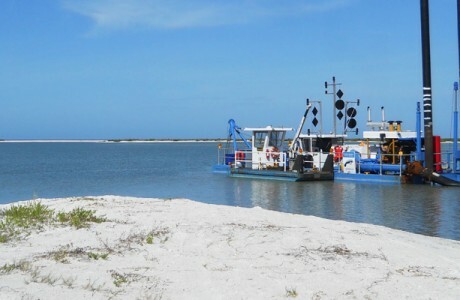 Measured current and tide data were used to calibrate the model. 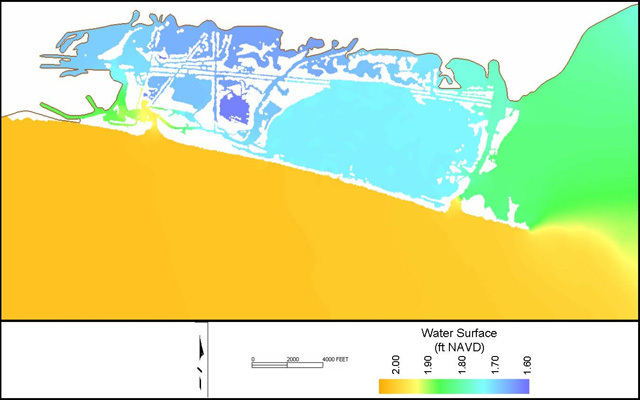 To evaluate alternatives, bathymetric grids were modified for each marsh fill template, and circulation modeling for each design was conducted to simulate water levels and flow velocities. Results were evaluated to ensure the design did not greatly reduce flow, increase (causing potential scour) or decrease (causing potential deposition) water velocities significantly, or cause significant changes to water elevations through the bay system. The results indicated that significant changes to the flow were not anticipated provided the primary flow-way leading from the bay’s west side to Pass Chaland was maintained. A water exchange channel through eight acres of existing healthy marsh was designed to provide this essential flow-way. The CEC team provided comprehensive plan formulation, design, permitting, resident inspection, and construction management services. The Construction Cost was approximately $35 million.